So hard to believe, yet squarely and undeniably before me, sometimes defiant and challenging, other times demure and seeking comfort, my little girl, my young woman, preparing to venture out on her own. After months of that feel like years and moments all at once, she stands on the brink of making her first adult decision of which college she will attend in the fall. Ready to run forward to her future, yet, in small fleeting moments perhaps only recognized by a mother watching and memorizing every expression, gesture and inflection, a brief hesitation, a backward glance. There are signs that she is ready. The unexpected kindness to her brother, with whom she used to quarrel and fuss. The game she did not see, squirreled away studying for the Calculus test, the gaggle of girlfriends gathered, not to giggle and talk all things boys, rather to make blankets for the homeless in our community. 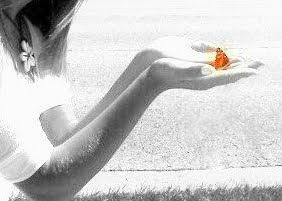 Will her growth, her new found maturity make the absence of her smile, her laugh, her light easier to bare? Likely not. There is comfort in the intimate familiarity with her strength and spirit, knowing she will engage, explore and succeed, will find her path and cherish every moment upon it. While knowing my heart will suffer at the loss of her presence, it will, at the same time, soar with her on her journey. With the long process of reviewing various colleges and programs, countless campus visits, meetings with professors and coaches behind us, just as my husband and I felt we might take a moment of reprieve from this all encompassing adventure, we realized the date. As desperately as my family is awaiting spring, that glorious conclusion to a winter that has outstayed its welcome by several weeks, taking in the calendar from a different perspective cut our sighs of relief to the quick. Mere weeks lie between us and graduation, open house season, and helping our daughter prepare for her big move to campus. Memories of her prodding, issued months ago, to begin shopping for her new life's needs, return quickly after having been disregarded as much too soon to consider. The motivation of the procrastination no doubt stemming from my only slightly sub-conscious desire to relegate this event as far into the future as possible. The Baggallini Metro Bag, more practical for toting her school supplies. The London Fog wool pea coat, perfect for walks across campus, stylish yet of a more mature cut. The boots, more functional than her usual fashion-motivated selection. Despite my best efforts, she has, with great skill, worked in purchases here and there, proving once again that she is much more ready than I am to face her future. Certain, beyond her college wardrobe needs, the list of her wants and needs for college is expansive, the sooner we begin the better. In truth, a bit of shopping therapy would go far in helping me to focus on the fun of her transition, rather than focusing on how much I will miss her presence and spirit about the house. A new bedding set in whichever style she determines is her new passion, the fluffiest of coordinated bath towels with hopes that she will be home on a weekend with them to be laundered. The wall art to help her call the dorm room her home, frames for photos to ensure familiar faces will always be at the ready. There is no doubt, as she unpacks and creates her home, tucked in here and hidden there, she will find notes from home, telling her how much she is adored and how very proud of her we are. 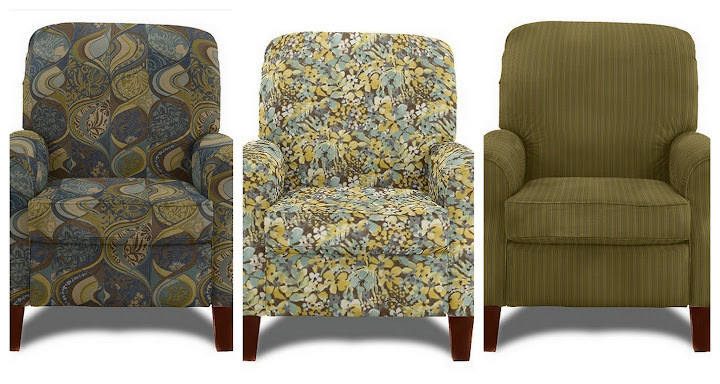 Choices galore ~ from frame, to fabric to that complete gorgeous look for your home! When we first signed on the line for our dream project, my husband and I were full of motivation and energy for all the home improvement tasks that lie ahead. I call it a dream "project" as so many changes were needed to for me to feel comfortable in calling this structure our home. Now, a few years later, we still have a number of projects on our list, surprising many of the originals, as well as a few new ones. All the might and muster seemed to be all too quickly and easily distracted by our busy family schedule and, in no small amount, by the in ground pool. Imagine - our DIY determination lessened by the beckoning of the refreshing pool water. This is not to say that we don't appreciate any features of our home. Quite the opposite, I love the flow of the main floor, that we have enough space for our family to relax and entertain and even a few of the decor elements. A perfect example is the children's bath - a large space with a generous double sink vanity, perfect for my teen and pre-teen to share. I immediately fell in love with the retro tiled floor and have come to appreciate it even more now that we have changed the wall color and found pieces to match. 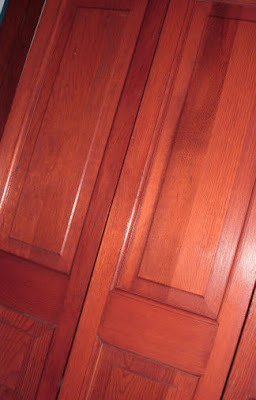 The gorgeous cherry doors throughout the house are certainly keepers. 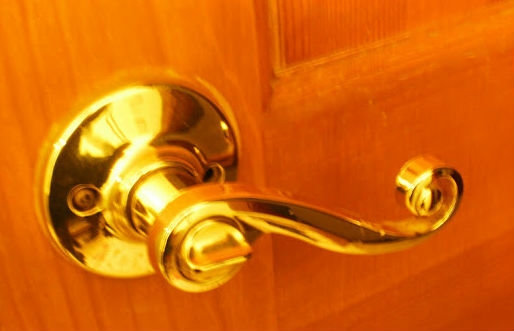 However, the horrid bright brass fixtures and handles, they were welcome to go on day one! Don't judge - they are on the list! I definitely appreciate that our home allows not only space for my husband and children to relax, but also an office for me to work and wax on all things that strike my fancy. Of course, the space in which I work is not what I would consider my #MomCave. The one room in my home that calls to me with peace and relaxation is the living room. With an expansive front window that looks out over our tree lined and peaceful neighborhood to the east, complete with a gorgeous cherry parquet seat and a view of the pool area through the dining room to the west, this room is hands down my favorite. Even with the lovely views, I still find myself distracted by the work still to be completed, the most pressing of which is replacing the carpet and selecting more formal furniture. One of my favorite features in the house! Although the off white meringue color of the living carpet spoke to me when we first viewed this house, the Mom realist in me knew it was not likely to hold up to so many muddy cleats and puppy paws. With wall painted in Moroccan Sand and a new hard wood floor in the works, the time was right to begin the search for new seating for this room. Certainly, with as many hours I spent in picking wall colors for the first floor, the sooner I started browsing for furniture, the better! 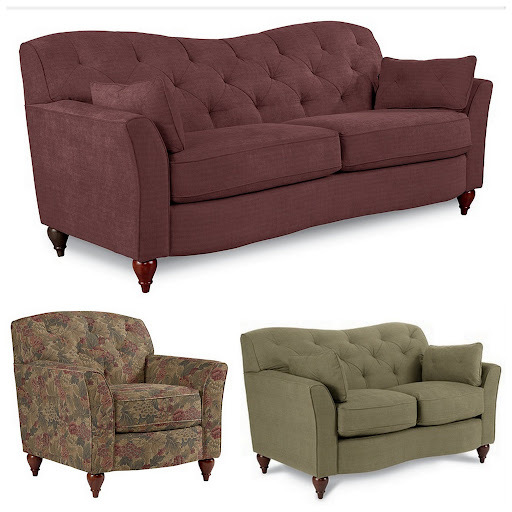 A peek online at the offerings from some of the local furniture stores I was familiar with, my mother's go to retailer and another for whom I had worked many moons ago left me discouraged. 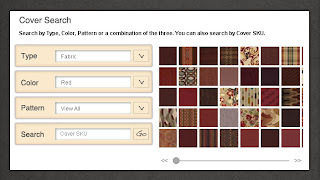 One of the retailers surprised me as despite that they offer designer services, it was difficult to browse their options online and I found the fabric selection rather weak. For a fleeting and ridiculous moment after we had first moved in, I had thought I would replace our tired living room suite with something in a vanilla or champagne color. A very brief and hysterical moment - then the pooch and I took a long look at each other, as I pondered, "Would he?" and his look assured me definitely, "He would!". Although the furniture in our living room still has a good deal of life left in it and it incredibly comfortable with the fabulous inclusion of power recline technology, between man, child and pooch, it has seen better days and is certainly not the look I am craving for this room. 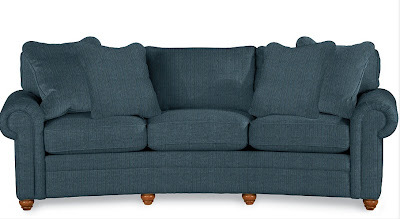 Rather, the love seat will find a home in our family room and the sofa is destined to be further abused by the kids and their guests in our rec room. 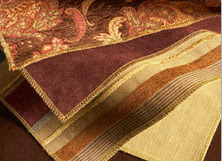 Microfiber was not meant for formal rooms. A budget friendly plan to be certain, the rotation of seating, yet brilliant in that it allows me to shop for beautiful and elegant pieces! Sneaky the way a Mom's mind works after far too much time grimacing at horrid brass door handles. I am quite certain I have gathered a good deal of stylish home decor karma after having been so patient. Comfy, yes. Formal living room worthy, no! Indeed, as it was certainly a stroke of good fortune when I decided to browse La-Z-Boy Furniture Galleries online after viewing a recent commercial. Most of the furniture stores in my area are located in very close proximity to each other and despite that La-Z-Boy Furniture Galleries is within the lot, I have always thought of La-Z-Boy as being synonymous with recliners. Dad chairs. Was I wrong? Most definitely. The Poet Room ~ Despite practicality, drawn to light looks. As a consumer, I have found that certain retailers know me - from their marketing, website, physical stores, displays and merchandise, they strike a chord deep inside that simply draws me in and compels me to shop. It is kismet. The pieces are beyond gorgeous and I deserve them. Side Note: If you are a Mom, you deserve them, too! My husband is all too well aware of that gleam in my eye and does his best to distract me from these retailers, at least until he has caught up with the latest DIY project at home. If you have not guessed yet - La-Z-Boy Furniture Galleries are solidly on his list! 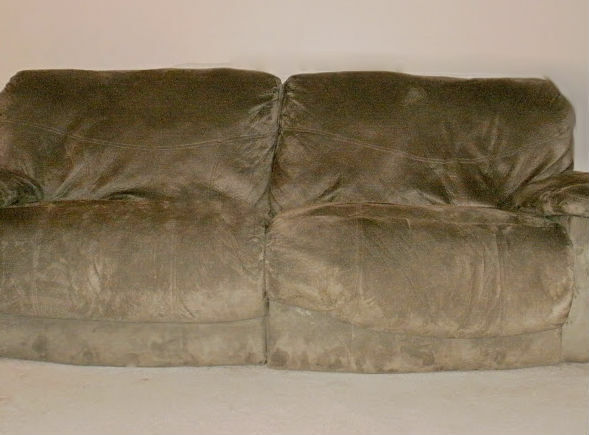 You'll find the perfect custom furniture cover, or two or twelve at La-Z-Boy! Despite my penchant for home remodeling, the planning more so than the labor, furniture and decor, I suffer from a severe lack of visualization skills. I certainly know what I like when I see it, however I am hard pressed to take a blank slate, such as my living room, and turn it into a fabulous space without assistance. Dear La-Z-Boy Furniture Galleries, you are this Mom's new best friend. Easy browsing for custom covers at La-Z-Boy Furniture Galleries! Why? Choices. So many options. 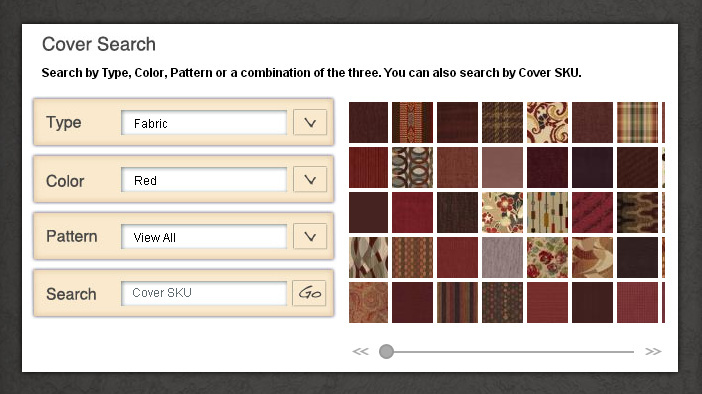 As unlikely as it may seem, La-Z-Boy Furniture Galleries offers over 900 fabric choices. Are you twitching yet? Unlike many furniture retailers I have become familiar with, with La-Z-Boy Furniture Galleries personnel will not emit a quiet groan when you utter the phrase "custom order", rather they expect it. 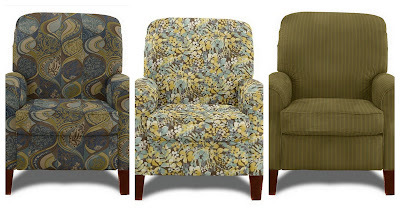 Beyond more lovely fabric options, from traditional to modern, from quiet to bold, one is not restricted to ordering custom covers for select frames and styles. Quite the contrary, they offer 250 frame choices. Your choice. Your glorious choice. With so many frames to select from, it is certainly difficult to narrow down to a favorite or even two, however I quickly fell in love with a few styles. Not so surprising as after taking the La-Z-Boy Style Finder quiz, I discovered my taste ran predominately Traditional, with a tendency toward Transitional and Contemporary, with a dash of Eclectic thrown in. It is no wonder that I am lost on my own in pulling a smart room together! adoring the sofa in Caribbean yet which chair cover to choose? yet which chair cover to choose? See all my #MomCave inspirations on Pinterest! Fortunately, La-Z-Boy Furniture Galleries not only has my number in regard to fabulous looks for the home, they are prepared for my indecision and need for assistance. 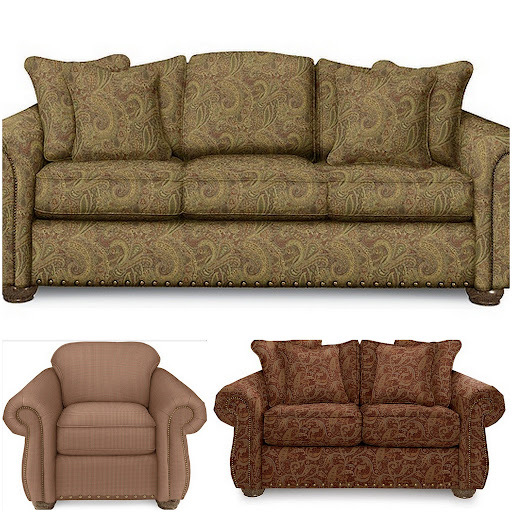 The La-Z-Boy website is easy to navigate and bursting with a plethora of resources to help guide, from Room Inspirations, to articles, videos and furniture selection tips and even the practical and fun 2D and 3D online room designers to help the challenged like myself to visualize these gorgeous pieces in a space just like my own! Phenomenal! Would you believe that there is more? Oh, yes, particularly helpful "more", especially if like me, you crave that pulled together look that can take years to accomplish, yet you want it now. If you were twitching a bit before, this would be the time that you start looking around for your keys. For those of us with the visualization weakness, finding and falling in love with those perfect fabrics and the lines of that stylish frame is only the first step in the process. How do you pull it all together? Once again, enter my new BFF, La-Z-Boy Furniture Galleries. They do not simply offer the piece, they offer the look you want and the ability to help you achieve it. With aid of their online catalog and stunning inspiration rooms, both online and in store, one can simply point and say, "That is my room!". Of course, with all the options available, you can certainly also point and say, "That is my room, but let's change this and this and this!". 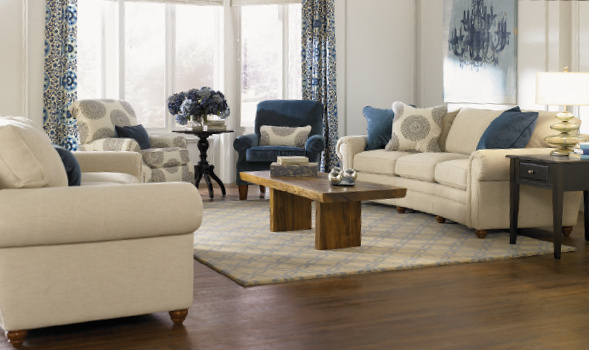 The La-Z-Boy Furniture Galleries staff have the resources and knowledge to make that happen, as they not only carry a wide selection of coordinating accessories in store, they also offer and free in home design service. Oh, yes - they will literally make a house call to help you find the right pieces and sizes to properly fit your space and create the #MomCave of your dreams, beautifully. 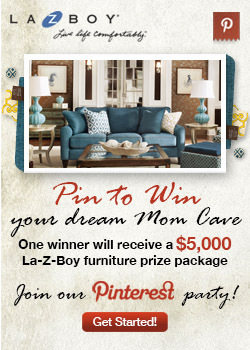 What custom colors from La-Z-Boy would you add to your Mom Cave? Do choices, options and supportive service make the difference for this Mom? Absolutely! What rooms are on your list to refurbish this year? Take the La-Z-Boy Style Finder quiz and tell me in a comment below. Although I have never been one to set resolutions each year, I do try to take time to set and re-evaluate my personal goals when my schedule allows a moment or so of breathing room. With my children seemingly aging years and growing by the foot before my eyes, I know it is important to devote more time to myself and explore my own interests. These few fleeting years left before they embark on their own journey into young adulthood will be precious, however I have no interest in wasting time being taken by surprise by empty nest syndrome. My furry son and I have had ample opportunities to stare at each other over the last couple of years during my recuperation periods. One of the hobbies I am passionate about exploring in more depth is photography. Having an opportunity to take a basic Food Photography course last year was such a treat I found myself looking forward to my assignments each week with great anticipation. I was amazed by all I was able to accomplish with my simple point and shoot digital camera. While it works quite well for simple shots at home, I am well aware of its limitations for outdoor and action shots. 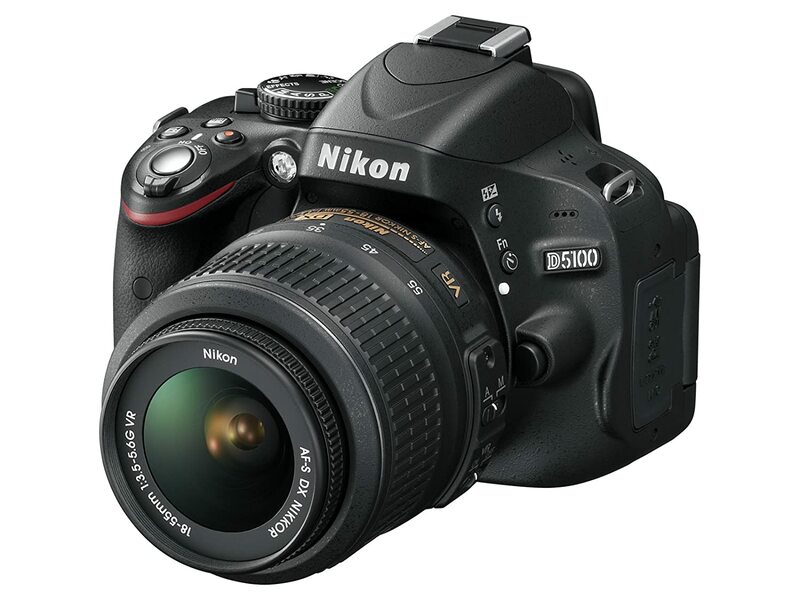 With the Teen Diva's lacrosse season starting soon, I know I need to upgrade to a more functional and flexible DSLR camera in the near future. Of course, determining just which DSLR to purchase is a task all on its own, particularly when I consider how reticent I was to explore the features of my digital point and shoot, after an initial glance at the included directions placed further reading solidly on my "to do tomorrow" list. Particularly when looking for a product or item whose features I need to research, I prefer to explore online rather than in store. I like to take my time in learning which features would be the most beneficial to me, rather than be encouraged by a well meaning store employee. Amazon is always one of my favorite sites to explore online, simply because I can find so many options in seemingly any category I want to explore. 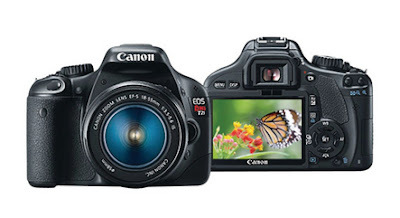 I have heard a great deal about the Canon EOS entry range DSLR options, however I began my photographic journey many years ago on a decidedly non-digital Nikon model and loved it. I love that I can do a quick search on Amazon to see which DS:LR models are the most popular purchases, as well as read buyer's reviews to learn their take on usage and function. A great place to begin my search. I'll be exploring a selection of the best entry level DSLR cameras in upcoming posts, including the Canon EOS Rebel t2i and the Nikon D5100. Stay tuned to find out what I discover! Enter for a chance to win a $100 Amazon Gift Certificate Code and shop for your heart's desire! This Facebook Blast is hosted by Makobi Scribe and is open Worldwide to those 18+. This giveaway will end on Wednesday, January 16, 2013 at 11:59pm EST. Bloggers interested in participating can find sign up here. Follow the participating sites and earn bonus entries via this convenient Pinterest List! Before the holidays, my son and I decided to take a bit of time to work together on educational green project t help our family green up our eco-footprint for the new year. After taking stock of just how many light bulbs we have in our home, we could not thing of a better place to start. We were surprised by all the energy efficient bulbs we found at our local Walmart store, particularly the wide selection of energy saving specialty bulbs! We picked a selection of styles to test out at home to aid us in making our savvy, green decisions. 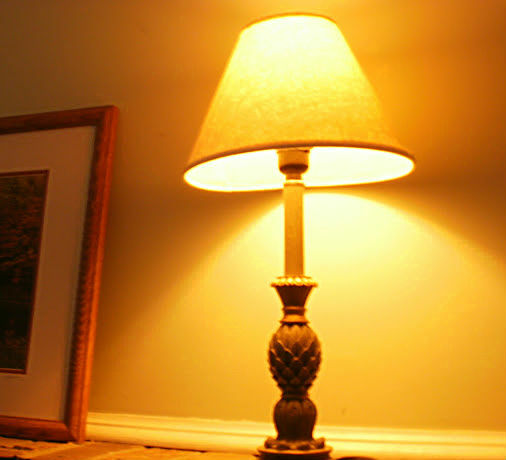 by greening up your home's lighting? 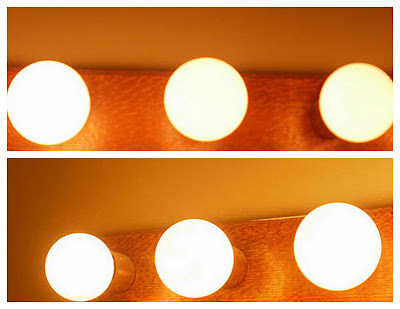 Learn your potential lighting savings! For the hands-on and visual part of our experiment, we inspected the light output of four different bulbs in the same lamp and same lighting conditions. A GE Energy Efficient Soft White Halogen Bulb, a GE Soft White 2x Life buls, a 75 watt equivalent standard sized CFL we had on hand and a GE Energy Smart Mini Spiral CFL bulb. Both Soft White bulbs appeared to give off a similar amount of light and certainly of a pleasant and sufficient quantity. The Energy Efficient Soft White Halogen bulb's advantage is that is uses 28% less energy. Although the Soft White 2x Life bulb costs more per year to operate, it's life span is an average of twice that of the Energy Efficient option. After some quick lighting calculations, we realized that the cost of use was less over the life of the 2x Life bulb by approximately one third, however the halogen bulb would use only approximately three quarters of the energy in the same period of time. The big surprise for us was the brighter output from the Energy Smart Mini Spiral CFL!! With the power of nearly 100 more lumens, the glow was noticeably brighter, however the wow factor was in the energy consumption and cost of use combined. At a cost of approximately one third of the Soft White bulbs and one quarter the energy usage, the Energy Smart CFLs were the clear winner for us! Brighter output, lower energy usage and a life span that could lead to us forgetting how to change a light bulb? We're sold! Our next stop was to one of the most wasteful lighting fixtures in our house - the large eight bulb light bar in the children's bathroom. Although switching out this bar is certainly on my husband's Honey Do list, after learning how much our family could save by switching out these bulbs, and being painfully familiar with my husband's pace, my son and I made certain to include testing a greener option of these large, decorative globes. What a difference the GE Energy Smart globes made and such a clean, white light! Beyond the visual improvement, these bulbs are super savers. Using only 15 watts of energy, the annual cost of using these new GE light bulbs will be about $14 per year, as compared to over $50! Although the initial purchase price is a bit higher than traditional alternatives, these beautiful globes have a life span of eleven years on the average! My son was amazed and quick to point out that he, himself is eleven years old. Keeping all this great, green information to ourselves just would not do! My son and I worked together to create a project board to share our exploration and findings. While I prepared facts and details, he worked on the creative portions of our display. 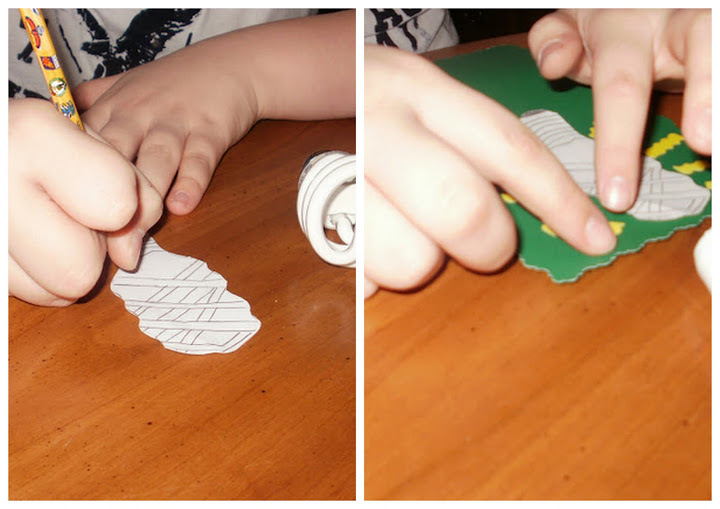 After tracing our test light bulbs, he cut out the pieces, added essential details and glued them to a background he trimmed with decorative edged scissors and then to the project board. 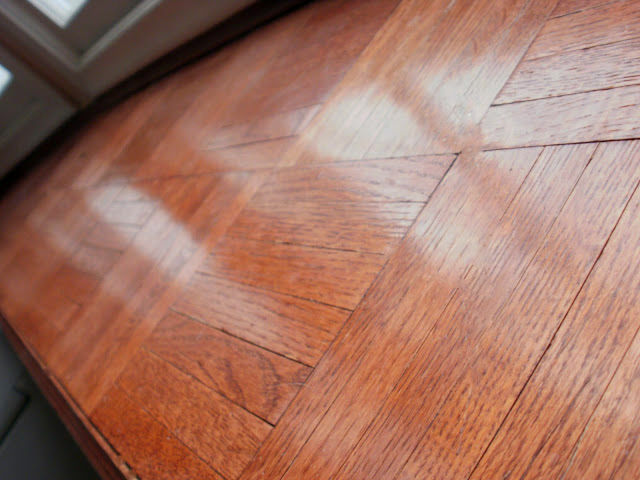 For his favorite choices, he could not help but to add a bit of pizazz after finding inspiration from some of his frame trimmings. With each test bulb represented on our project board, we used the helpful facts we gathered from the GE packages to chart out the differences to double check our hands-on exploration. We compared watt usage to cost of use per year, watt usage to lumens and cost of usage to life span of each bulb. Although we did not include the GE Energy Smart decorative globes on our charts, it was fascinating to realize how much light could be sourced from these bulbs at such a low energy rate, with wattage and cost of use so similar to the Mini Spiral CFLs! 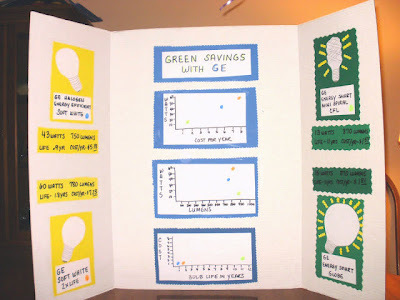 Our fun not yet complete, we reviewed the data from our comparison graphs and my son doled out awards for the following categories: Eco-Friendly Winner, Best Value and Best Light. As predicted, the GE Energy Smart Mini Spiral CFLs and decorative globes stole the show! My son is looking forward to sharing his green lighting findings with his science class to help inspire others to go greener this year! Although my family'e primary lighting choice for green savings are GE Energy Smart bulbs and CFLs, I was glad to learn that the GE Energy Efficient Soft White Halogen bulbs are a greener option for our fixtures with more specific needs. 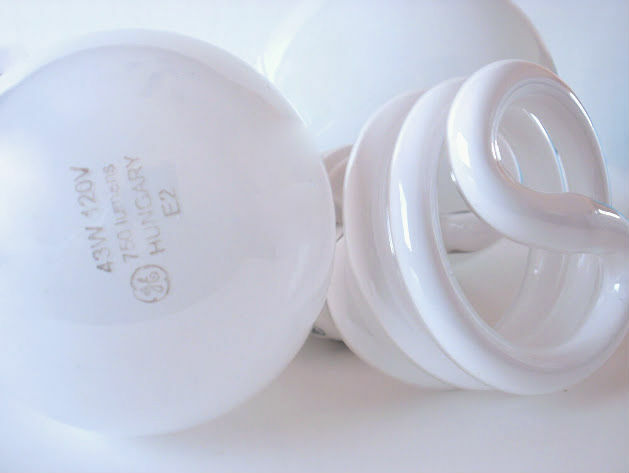 We are thrilled that the specialty energy savings bulbs we need are so much easier and convenient to find. Most importantly, with a bit of focus, we can make a significant difference in greening up our family's eco-footprint this year and save a surprising amount of our budget in the process! in regard to light bulbs? What are your family's plans for greening up this year? Have you tried different types of energy efficient light bulbs? Tell me in a comment below. I'd love to hear your thoughts! I am a member of the Collective Bias® Social Fabric® Community. This shop has been compensated as part of a social shopper insights study for Collective Bias™ and GE Lighting #CBias #SocialFabric. The opnions above are both honest and of our own experiences. Upgrading my family's cell phones recently was a process blended of adventure, as well as a bit of a mystery as we tried to find our way through the myriad of smart phone options available. Although it seemed each of us was after something a little different, one thing we readily agreed upon was that our choices needed to be decidedly smarter than our old models. If you have been shopping for or simply just considering new phones as of late, you likely appreciate that this one point did not narrow down the field a great deal. With an older teen daughter, my husband and I have been through the gambit of cell phone catastrophies already and are less concerned about damage, wear and loss as we perhaps were with our daughter's first phone. After the first phone sank to the bottom of our in ground pool, we never once questioned the importance or necessity of purchasing cell phone piece of mind by way of extra coverage. Although, true to her teen nature, our daughter was quick to point out that her first phone was a lower end model with firm use limits, this second time around, our son will reap the rewards of our generous plan allowances As far as we are concerned now, you can never have a large enough data plan. So many changes and tech improvements in cell phones since our daughter was first granted her own. The right smart phone actually saves money, to our minds, as with the ability to play games, communicate, access shared data and download entertainment, the need for a separate handheld game system or portable entertainment system is nullified. 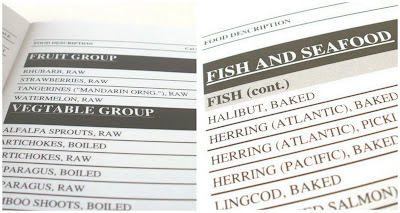 Simple, streamlined and convenient. 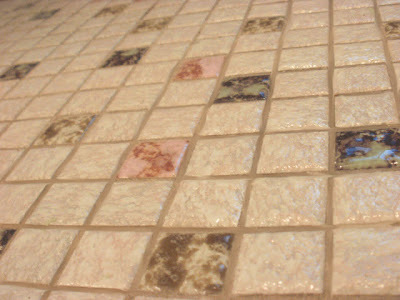 One or more less expensive items to care for, to keep track of, to fund with accessories and add ons. That is certainly a win in this Mom's book. Of course, which model would be best suited for our tween? As parents, our primary concern is that the smart phone be durable, easy to use, especially should an emergency arise and with a long battery life to help ensure the device is functioning should it actually be used for a call for help. My son, of course, held a different set of top concerns in choosing his ideal smart phone model. 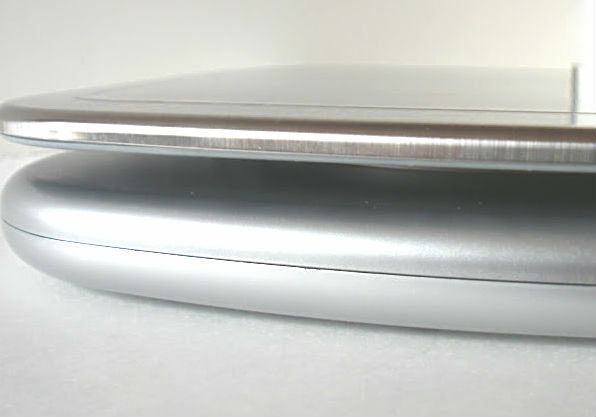 For him, graphics, screen size and storage capacity, in addition to cool factor, were the most important considerations. In the past year, he had an opportunity to test the Motorola Droid Razor with Verizon service and was quite taken with it, both in function and with the sleek design. 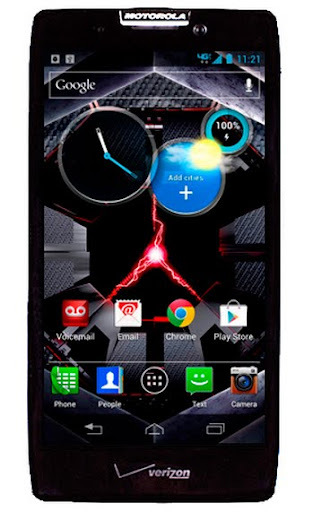 It made sense to take a closer look at the newer model, the Motorola Droid Razor HD. It did not take long to realize we had discovered the winner! Although the Droid Razor HD is not the cream of the current smart phone crop, it is the perfect choice as a first smart phone for my tween, providing him with the cool factor, ease of use and all the features that are important to him. Better yet, the Droid Razor HD is priced a bit friendlier, giving the family budget a break when upgrading contracts or starting a new line of service. Are you considering a first cell phone for your child? I receive Verizon products to explore for the purposes of creating this feature. The opinions above are both honest and of my own experiences. 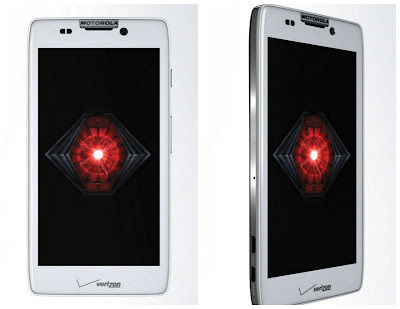 Images sourced from Verizon. Opinions shared in this post are may not be the opinions of Verizon or Verizon of Michigan. No matter which point you consider the onset of middle years, one truth is consistent. The middle years are sneaky. One day you are enjoying your young adult life, full of plans and dreams and the next, you are finding you need to do a bit of simple math to remember just which birthday is upcoming this new year. The sneakiness is not limited to the fleetingness of years, the average middle years Mom, even as she maintains the same healthy diet and exercise routine, gains an average of 1.5lbs a year and potentially loses 2.5lbs of muscle mass in the same. A viscous cycle to be certain as muscle is the, well, muscle your body uses to burn calories. Of course, if your commitment to eating healthy or to your physical activity routine slacks off over the years, the impact of each additional year can lead to even greater concern. In fact, doing a bit of research into the fun of what is to come, the laundry list of possible symptoms of pre-menopausal and menopausal women are all things I'd rather avoid. Slowing metabolism, weight gain, muscle and bone loss, shrinking, deteriorating eyesight, increased moodiness and irritability, gray hair - where is the silver lining? Never having been one to easily accept a lack of easy options as a stopping block, I must conclude that if one does not want to give into the impending joys of middle years, a Mom must be prepared and fight back. Rather than allowing yourself to take a lax approach to your diet and even maintaining your eating habits, becoming more diligent in your daily diet and exercise routine can help to boost your metabolism and prevent the natural process of weight gain, as well as help to improve your mood and energy level. Arming oneself with the right information and healthy tools for success are key in fighting the good fight. Having an opportunity to test the Eat Smart Precision Elite Digital Kitchen Scale, I would certainly place it on my recommended short list. Focuses on the inclusion of more of the right foods in a middle years Mom diet and calorie control works hand in hand with an increase of productive physical activity to best the aging process. Drinking more water, consuming more lean proteins and fiber as well as boosting the variety of your diet, including plenty of fresh fruits and vegetables can make a tremendous difference. I appreciated the my Eat Smart scale came with a comprehensive guide, outlining all the important food groups I need to be focusing on. 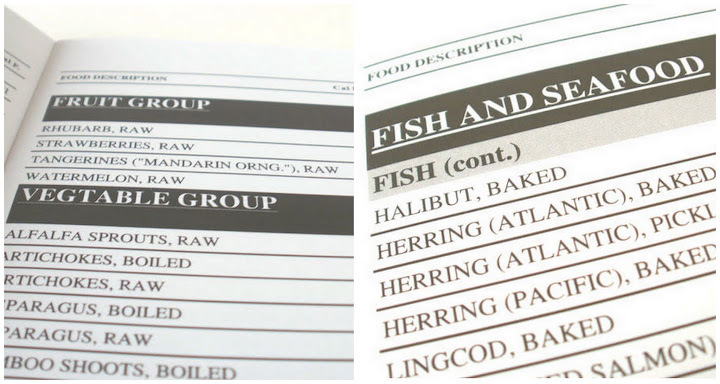 As with any health effort or maintenance program, the ease of using a system helps to ensure you will stick with it. The Eat Smart Precision Elite features a large, easy to read display and function buttons. 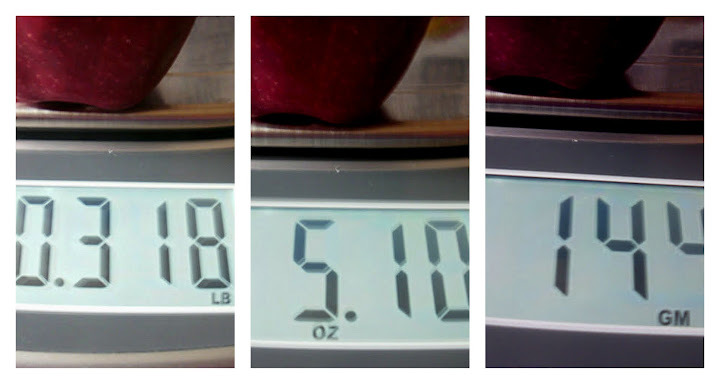 I loved that I can easily switch from weights by pound, to ounces and grams. As is likely the case in any busy household, keeping my kitchen counters free of clutter can make an important difference in sticking with my family's busy schedule. 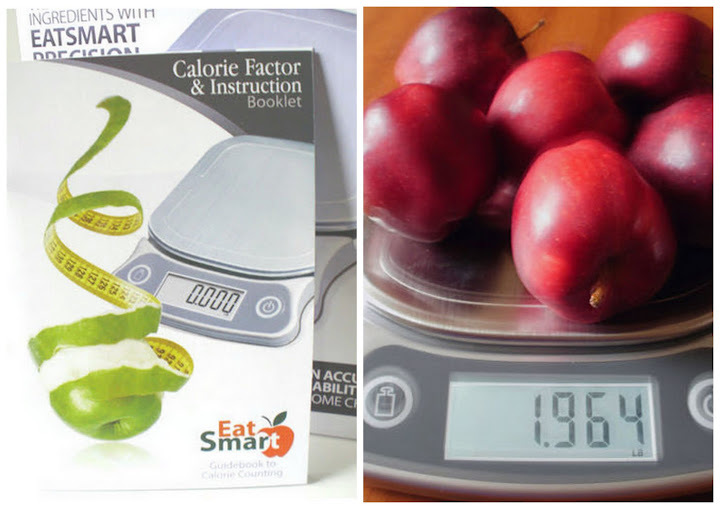 The Eat Smart Precision Elite scale is sleek, trim and lightweight. The weight tray generous enough to accommodate whichever dish whose contents I might desire to weigh, yet unobtrusive on my kitchen counter. While a solid and well-constructed unit, its light weight makes it easy to store away in a cupboard or move about the kitchen for convenient use. 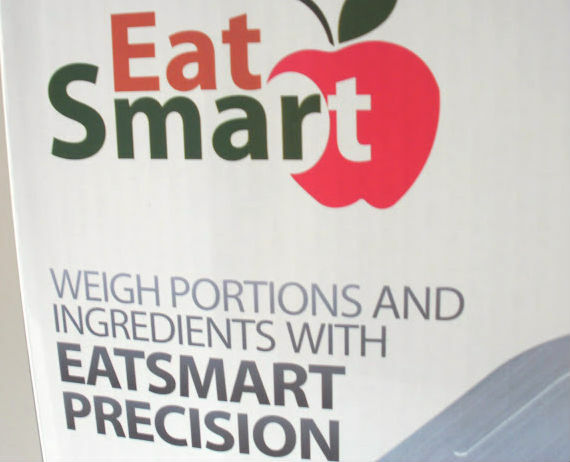 Eat Smart is generously offering That's What She Said readers an opportunity to win an Eat Smart Precision Elite Digital Kitchen Scale, ARV $59.95! This giveaway is open to residents of the US, 18+ and will end on Wednesday, January 30, 2013 at 11:59pm EST. Winner will be selected randomly from all eligible entries. Winner will be notified by email and must respond within 48 hours or an alternative winner will be chosen. If you email address is not available through your comment name, please leave it in your entry comment in anti spam format. Explore the Eat Smart products on Facebook and share with me which would be the most helpful to you in your healthy endeavors this year via a comment below. *Like That's What She Said on Facebook, leave comment here with Facebook name, 1 entry. 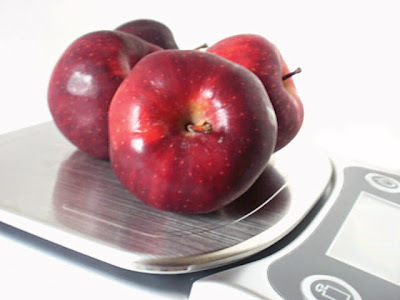 I received an EatSmart scale to explore for the purposes of creating this feature. The opinions above are both honest and of my own experiences. Sponsor is responsible for supplying and shipping prize. Facebook, Twitter, Pinterest and Google+ are not involved in nor responsible for this giveaway in any fashion.